This design features a big lip print design in the bi pride colors along with “Bi” inside the lipstick kiss style lips. Fun, cute, flirty, and just a tad sassy without losing the classy. What more could you ask for in a bi visibility t shirt? You have pride inside. Bi pride that is. 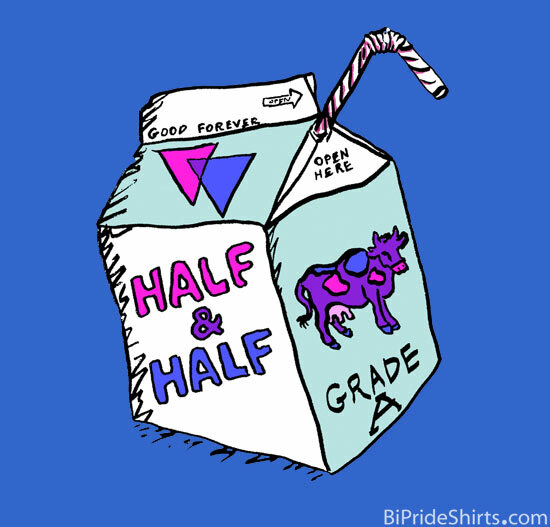 A great and simple bisexual pride shirt done in bi pride colors with a small and unobtrusive set of blue and pink overlapping triangles at the top which is a symbol that represents bisexuality and bi pride. 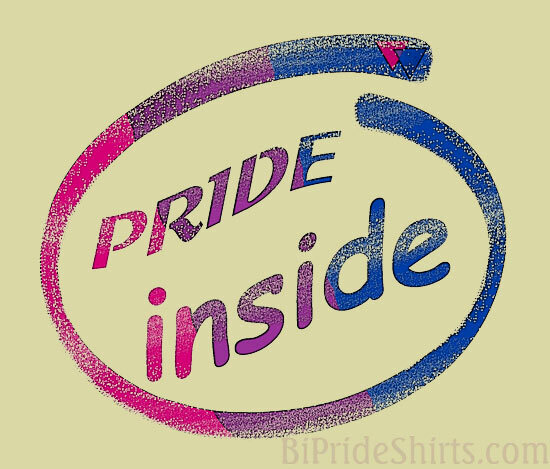 This pride inside design is also available on many other great products like this pendant. 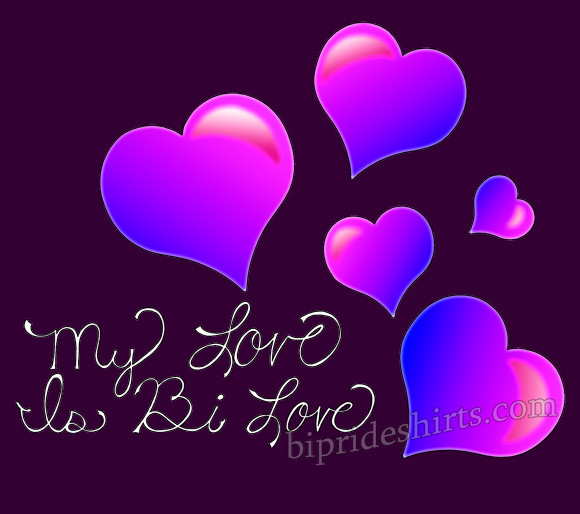 Just check out our main bi pride zazzle store page to see. Doesn’t get anymore simple than this. Bisexual awareness, visibility, and of course… love. 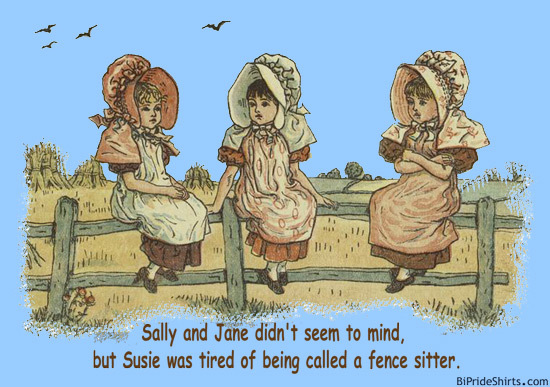 Sally and Jane didn’t seem to mind, but Susie was tired of being called a fence sitter. One who takes a position of neutrality or indecision, as in a controversial matter. 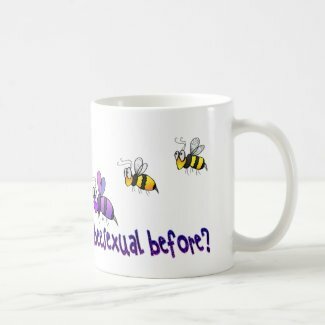 In a world filled with monosexism many people consider bisexuals to be unwilling to decide whether they are gay or straight. Oddly, when you consider that many gays claim they are “born this way”, rather than it being a decision, we find this sort of thinking more prevalent in the gay communities than anywhere else. I guess they think you can only be “born this way” if it is 100% heterosexuality or homosexuality that is being discussed. Long story short, bisexuals are fence sitters in the minds of those who don’t believe in or disprove of a non-monosexual orientation. 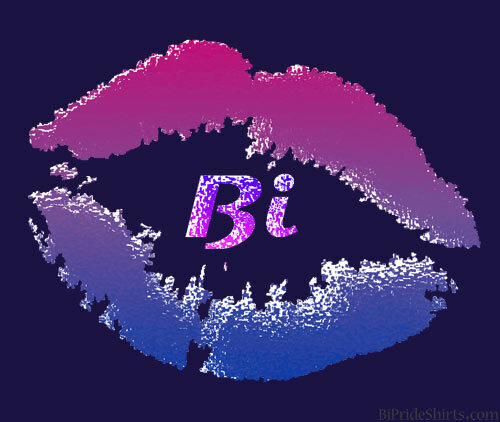 Some bisexuals don’t care what those people think or say. Some have embraced the term and use it themselves. Others, like Susie don’t like it one bit. No matter whether you have embraced the term and use it yourself, or are sick of it, this shirt is a great way to bring attention to the topic within circles that would know the term. 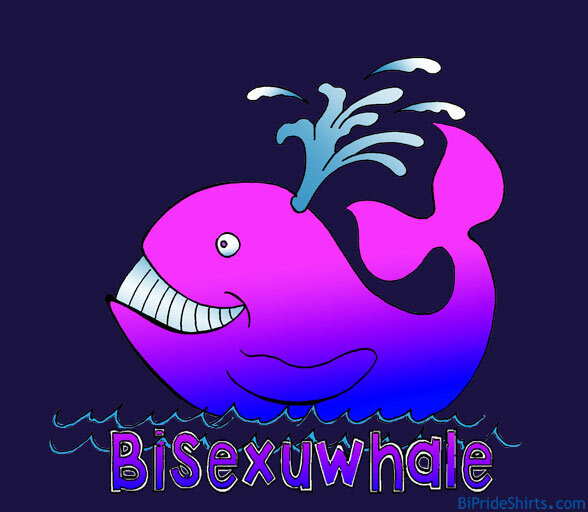 Since it doesn’t actually sport any bi pride colors or saying however it isn’t really a bi visibility shirt. However you look at it though, it is fun and cute. 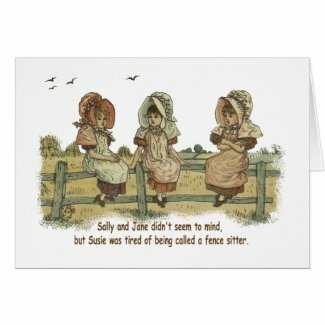 This fun fun nineteenth century styled retro design is also available as a greeting card.